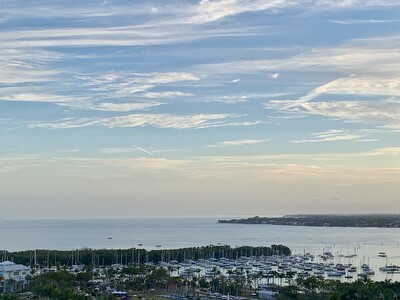 Our expertise and combined 20 years of experience makes our team the leading provider of real estate guidance for Coconut Grove residents and buyers from all over the world who are looking to invest in our neighborhood. For the fifth year in a row we were awarded the highest level of recognition for the EWM/CHRISTIE'S top producers of the year: Diamond Level, meaning that we are in the top 1/2 of 1% of realtors nationally. We are also the top producing team in EWM's Coconut Grove Office. We would like to thank all our clients who make this possible. Reminiscing EWM Shine 2018. Yes, we were (and still are) very happy. We are active on many different social media platforms such as facebook, instagram, googleplus, and youtube. We want to make it easy for you to access all of our accounts. Click the icons below to visit our pages. Thank you for taking an interest in our business. We highly appreciate it and we would love to hear from you. Contact us if you have any questions or if you are looking to buy/sell a home in Coconut Grove. 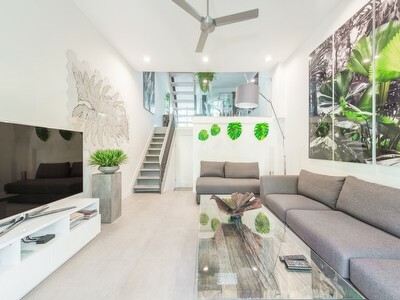 Ideally located near the Coconut Grove Village, this recently renovated 3 bedroom, 2 bath home + a separate cottage with an additional kitchen, bath, and bedroom (perfect for your guest quarters or an office) feels cozy and welcoming. This home offers large, luminous living spaces with gleaming wood floors - a formal dining room, a modernized kitchen, and a living room. The backyard is expansive enough for an outdoor dining table that will delight you and your guests with an al fresco dining experience. The garden and small pond add to the charming character of this home. The beautiful trees surrounding the gated 10,500 SF lot provide great privacy for its homeowners. Completely renovated with the highest of quality and taste, this 6 bedroom home is perfectly situated in the center of busy Miami and the quietude of nature. Nestled in South Coconut Grove on a dead-end street, this 14,000 Sq Ft home is just a few blocks away from the Coconut Grove Village. This property is all about privacy, light, and space. The Nano walls allow light to flow throughout the entire home and provide an all-embracing view of the 45' heated lap pool and the backyard garden. The lot is completely fenced in, giving its homeowners the utmost privacy while still having great transparency. The covered terrace is perfect for an al fresco dinner with your guests. This contemporary architecture home offers 4 bedrooms, 4 bathrooms, a formal living room and dining room, an expansive Italian style kitchen, a family room, and a large backyard with an oversized saltwater pool. Beauty is in every detail of the home. The large impact glass doors and windows on the first floor emit natural light throughout the house that reflect on the huge, white, porcelain tile floor and provide a sweeping view of the backyard. The upstairs bedrooms with their soft blond wooden floors, each have their own designer bathroom and their own terrace with gorgeous views of nature and the garden. 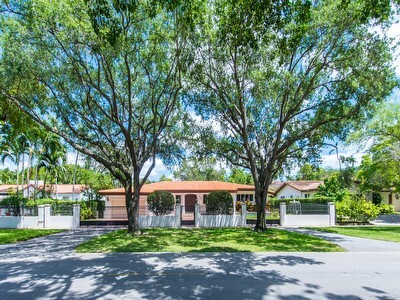 The home is tucked away on a dead-end street in South Coconut Grove near Ransom, Carrollton, and the best public international schools. Yes, an elegant and superbly located home. Are you interested? If so, contact us.